I came across a dress so beautiful the other day that I started thinking about its owner/wearer, Elizabeth Goodhue Millett Fenollosa, wife of the famous “Orientalist” and cultural ambassador Ernest Fenollosa, who happened to grow up in the house right next door to mine here in Salem. Actually “Lizzie” Fenollosa, who was also Salem-born and -raised, was Fenollosa’s first wife, who accompanied him to Japan, where he was eventually appointed Director of the Imperial Museum in Tokyo in 1888. Here is the Worth dress, which the curators of the Philadelphia Museum of Art believe might have been worn for her presentation at the Imperial Court coincidentally with her husband’s appointment. Women’s Evening Dress: Bodice and Skirt. Designed by Charles Frederick Worth, English (active Paris), 1825 – 1895. Worn by Mrs. Ernest Fenollosa, c. 1886-1887, Philadelphia Museum of Art. Gift of Mr. and Mrs. Owen Biddle, 1978. I had never seen this stunning dress before but I was not surprised to see it in the collection of the Philadelphia museum, as the Fenollosas’ daughter Brenda was married into the prominent Biddle family of that city in 1913. Her son Owen Biddle and his wife donated the gown (along with another) to the museum, and she herself donated a lovely Meiji scroll from her father’s collection (and in his memory) in 1941. I was surprised to see another Fenollosa-related item in the museum’s collection, however: a photograph of her father’s second wife, Mary McNeil Fenollosa, by the photographer Eva Watson-Schütze, dated 1905. Obviously this item was not donated by the Biddle family, for the Fenollosa divorce was scandalous its day. I have no idea what Brenda’s feelings were, but her mother named Mary as a co-respondent in the 1895 proceedings. Portrait of a Woman in Japanese Dress (Wife of Ernest Fenollosa), Eva Watson-Schütze, 1905. Philadelphia Museum of Art, 1905. Gift of Harvey S. Shipley Miller and J. Randall Plummer, 2004. Ernest and Lizzie Fenollosa were childhood sweethearts in Salem; they were married right after his graduation from Harvard and then set off together for Japan, where he took up a position at the Imperial University at Tokyo and became fully immersed in traditional Japanese culture, eventually rising to his post at the Imperial Museum. He converted to Buddhism, but they did not appear to lead an ascetic lifestyle, if their house, their many western visitors (and her dress!) are any indication. During their time in Japan, Fenollosa also acquired a huge collection of traditional Japanese art, which he sold to Boston physician and philanthropist Charles Goddard Weld with the condition that it eventually be donated to the Museum of Fine Arts, Boston, where it now constitutes the Fenollosa-Weld Collection. The Fenollosas returned to Massachusetts in 1890, where he was appointed curator of the Department of Oriental Art at the MFA and organized several high-profile exhibitions. After he took up with Mary McNeil Scott, a twice-married southern secretary at the Museum, both his marriage and his curatorial career were over–although he continued in his scholarly activities. Lizzie and Brenda remained in the Boston area, but Ernest and Mary took off after their marriage: to New York, back to Japan (she had spent time there too, which explains much of their instant connection), to Mobile, Alabama (her hometown), and to London, where he died of a heart attack in 1908. Elizabeth Goodhue Millett Fenollosa, Ernest Fenellosa, Mary McNeil Scott Fenollosa. The two Mrs. Fenollosas were very different women bound together by one man, as well as their experiences in Japan, I suppose. Elizabeth Fenollosa seems to have been a private woman, although by all accounts she was a gracious hostess and certain details about her divorce did leak out to the papers…..Mary Fenollosa was much more public, writing popular novels under the pseudonym Sidney McCall, poems under her own name, and serving as an advocate for her husband’s work after his death. Truth Dexter, her first and most popular novel, tells the story of a southern wife (the title character) whose marriage is endangered by a brazen Boston socialite! That was too much for Lizzie, who told the New York Times that her intellectual ex-husband must have collaborated on the book as it contained too many little-known details of their lives together. I think that book, plus the fact that she’s a Salem girl, puts me on Team Lizzie, but both women certainly lived colorful lives that took them far from their places of origin. 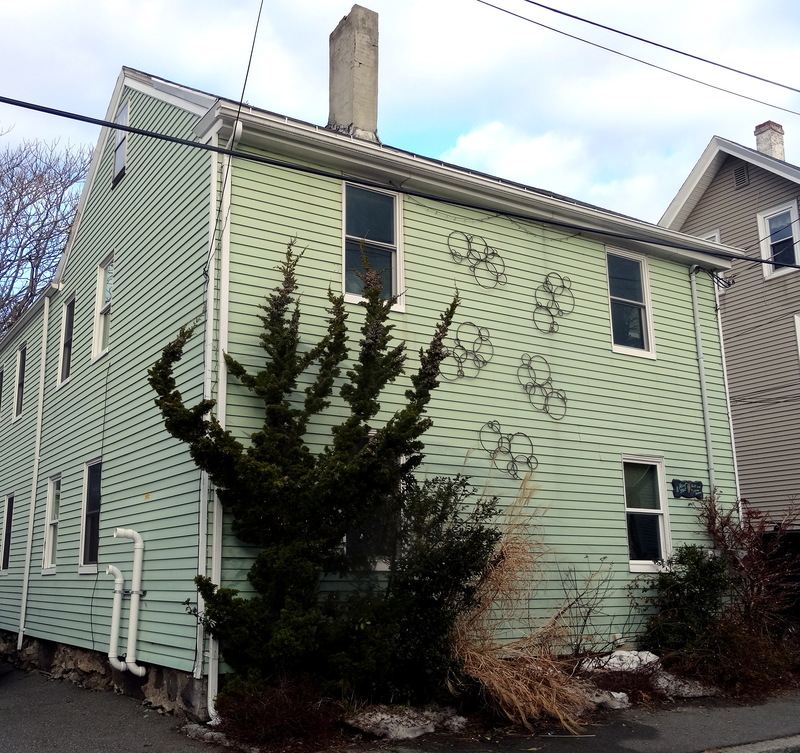 From Salem to Tokyo: Elizabeth Fenollosa’s childhood home on Buffum Street in Salem, and the Tokyo home she shared with Ernest, Fenollosa Papers, Houghton Library, Harvard University. For this year’s July Fourth commemoration, I have gathered some Salem structures built in the 1770s so we can see some semblance of the city during that revolutionary decade. Salem has quite a few extant colonial structures, but not as many as you would imagine: it has long been a city, and also a relatively prosperous place, and economic development is a major impediment to historic preservation. I try to qualify every statement that I make about Salem’s history with the caveat I am not an American historian, but my constant consideration of the city’s built landscape has convinced me that the narrative that Salem entered a prolonged period of economic decline following the War of 1812 is mythology: many, many structures were built after 1820, after 1850, after 1870. Salem is more of a later nineteenth-century city than a Federal one, though its Federal architecture remains conspicuous. As for its colonial architecture, it seems to me that there are more structures from the mid-eighteenth century rather than the later part of the century, though there was definitely a mini-boom in the 1790s. Colonial houses are found on Salem’s side streets rather than its main thoroughfares, though Essex Street, Salem’s original “highway”, features several: it is definitely the most historically diverse street in the city. There are many colonial houses in the streets around Derby Street, a neighborhood that does not have the status or the protection of an historic district, consequently debacles like this can and will happen. I found quite a few houses from the decade of the 1770s thought nothing that was built in 1773 or 1778, and no structure survives from that very busy year of 1776 either, though there was definitely one big construction project that year: Fort Lee. 1770: Federal and Turner Streets. 1771: Federal, Summer & Turner Streets. By no means an exhaustive list! When I started blogging three (!!!) years ago I really didn’t think I would feature Salem quite so much; I chose the name Streets of Salem because it’s a nice (alliterative) name and I am a very place-oriented person, but I didn’t think the blog would be exclusively or even mostly focused on Salem. I’m not sure it is: history and architecture (of Salem, or not), art, literature, folklore, horticulture, and design certainly have their place here, and even when I do focus on Salem (about half the time? maybe more) I really try for a more universal perspective in terms of both chronology and geography. As much as I love Salem, there’s a certain parochialism here that I often find a bit jarring. Nevertheless–and that said— sometimes I can’t help but feature a Salem story: so much happened/happens here! 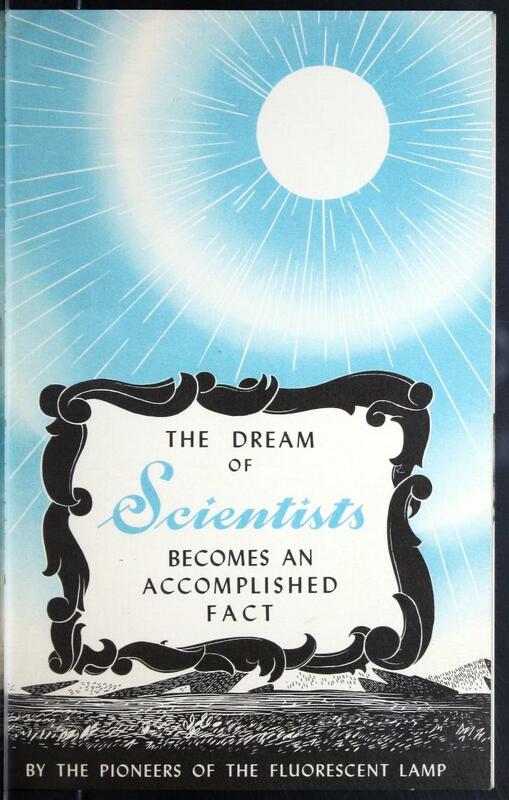 I was going to devote this week to various aspects of winter sports when I came across a neat industrial brochure about fluorescent lighting of all things, published by the Hygrade Sylvania Corporation (whose former plant is part of the university where I teach) in 1940: The Dream of Scientists becomes an Accomplished Fact. What a great mid-century title! 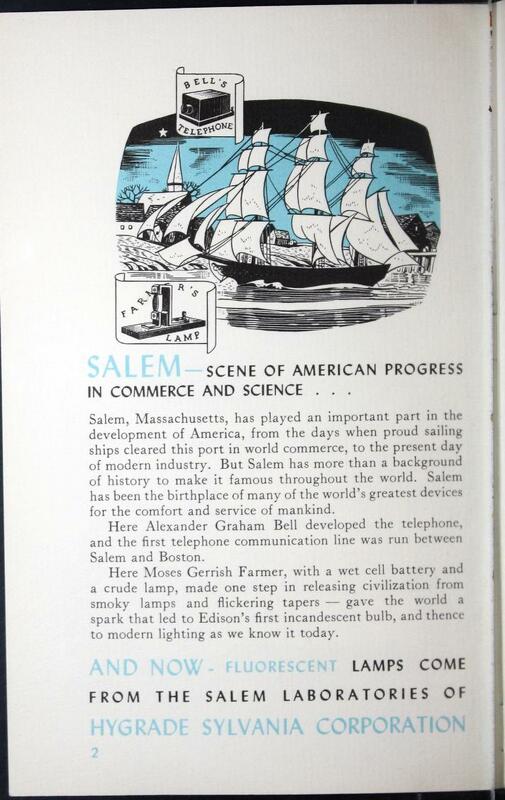 I opened it up and there was the history of electricity from a Salem perspective. I was attracted to the artwork (and the sheer confidence of the writing) so I kept on reading, but it got too technical. 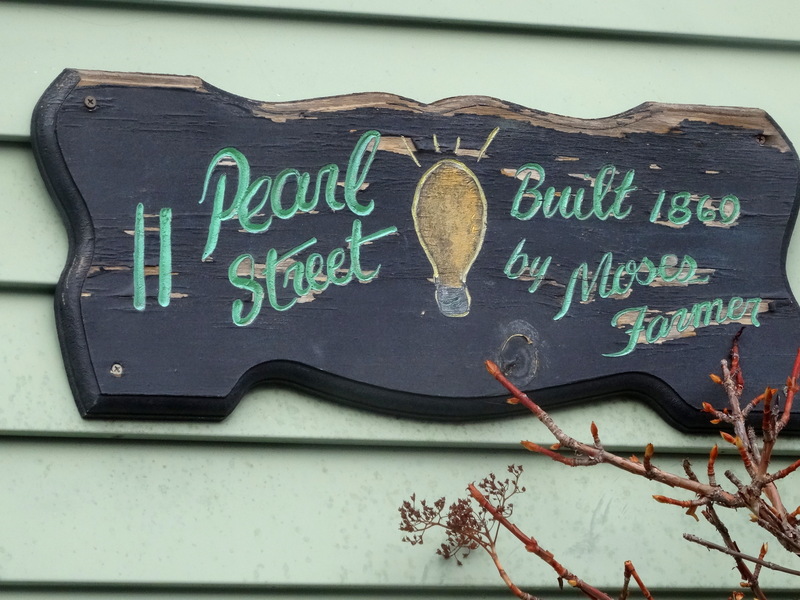 I knew about Moses Farmer anyway, but have never mentioned him here–too technical, I suppose. Salem’s industrial history is probably just as important as its cultural and commercial heritage but certainly not as heralded, or as visual. Farmer was a New Hampshire-born engineer who experimented with electrical devices, most prominently a “self-exciting dynamo” which he used to illuminate lamps in the parlor of his Pearl Street house in Salem every evening of July, 1859–twenty years before Thomas Edison’s light bulb. This, then, was the first instance of domestic incandescent illumination in the United States, right here in Salem. 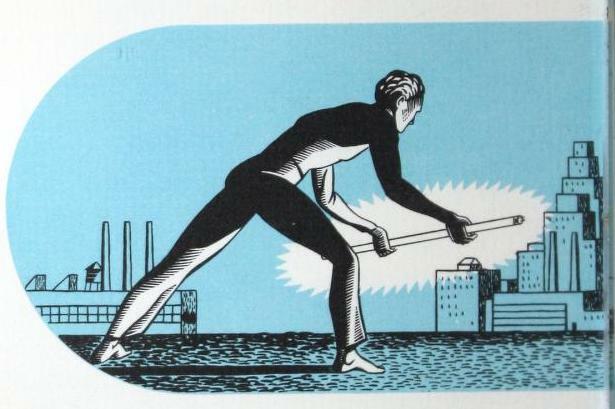 Of course Farmer’s achievement, like that of Edison, was based on the experiments of a succession of scientists: electrical experimentation, along with the first appearance of the word electricity, commenced in earnest in mid-17th century England. I wish we had more (or any!!!) reports of Salem citizens observing the illuminated house on Pearl Street in the summer of 1859. I imagine crowds standing outside, night after night. This house is still standing, and its owners have paid tribute to what happened in their home with a sign on its exterior. I applaud their effort and enthusiasm, but I think the date is incorrect: after all, Farmer illuminated this very home in 1859. The MACRIS database identifies the house as the William Knight House, built in 1846. I am imagining crowds in front of this house in 1859: over a half-century later we have documentation of crowds, and cars, converging before another “electrical” house in Salem. In 1924 the North Shore Real Estate Board commissioned the construction of an attractive colonial revival house on Loring Avenue (just down the road from the Sylvania Plant) equipped with all manner of state-of-the-art electrical appliances and gizmos, a house of and for the future, and another scientific dream fulfilled. It was open to the public for the month of June, and then sold; I drive by it several times a week.